Colorado and Washington State are currently the only two state that allow recreational marijuana sales. In 2016, Alaska and Oregon will join in the pot game. It seems as though residents are voting for the revenue, and the product, and every year a new state is allowing the legalization of recreational marijuana. Florida residents – and merchants – are petitioning for Florida to be next, but with the conservative government, their wishes may not be granted. One big issue with Florida and its resident’s efforts to legalize recreational marijuana is the lack of medical marijuana legalization. The four states that have legalized recreational marijuana has legalized medical marijuana long before the fun stuff was legalized. The state legislature has caught on, and a few have recently backed a medical marijuana bill. If it passes, the governor may not sign it into law, but at least it will change the tide in the minds of the legislature, and citizens who are still unwilling to believe the healing effects medical marijuana has on those with terminal illnesses. If it passes, a medical marijuana payment processing account will be needed for any merchant who passes the state’s test to sell it. While there are no tests in place in Florida yet, their test will probably mirror those in other states. Regulations will be tough – as they should be – and finding a payment processor will be tough, as well. This is because these merchants are considered “high risk” in the processing world. The industry is risky, mainly because it is still marijuana in any form is still a hotly contested federal issue. Recreational is firmly illegal to the Feds, and once medical marijuana hits a market, talks of legalized recreational marijuana soon follows. Or, in the case of Florida, they are both argued at the same time, be it by different people. If, or perhaps when, medical marijuana is legalized in Florida, its merchants will need a payment processor that knows the industry. Few do, and it is important that you search for an established and experienced processor, like MMA, to help you throughout your journey. These businesses are risky, but you will find that the risk is worth the reward when you see the calming effects medical marijuana has on its users. 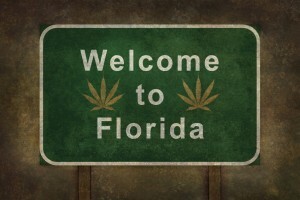 As campaigning continues for Amendment 2 in the state of Florida, a Florida attorney and his law firm are adamant that medical marijuana is already legal under the state’s case law. Florida’s “Doctrine of Medical Necessity” declares that medical marijuana is legal as long as one’s doctor approves of the substance for that patient. There are also certain criteria that are required to be met by that patient. Another reason the Florida attorney feels that the substance is already legal is that the Health Law Services have already started issuing ID cards to qualifying patients for medical marijuana in the area. Keep in mind that Amendment 2 is still waiting for the vote on November 2. According to JD Journal, Ian Christensen, the Florida attorney explains that “It [ID cards] helps or aids the officer in the investigation so they can determine whether there’s probably cause to make an arrest”. 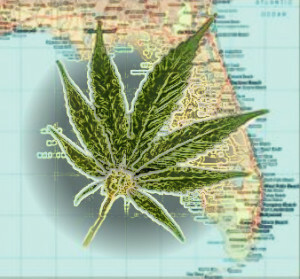 Many who are in favor of the legalization of medical marijuana in the state of Florida feel that, if you are ill and the substance is an option, that the benefits out way any negative effects. If you are a Florida resident, the charge of $799 is incurred by the Health Law Services. This fee is then used to gather medical records, cover legal services and pair the patient with a suitable doctor. Even with these cards being issued, medical marijuana is still technically illegal in the state of Florida. The possession of a card with a certification for use does not mean that you have any legal standing. In most situations, it will depend on the judge to decide the outcome. It will be very case-specific. As Florida moves towards legalization, the best option for those in the medical marijuana business is to obtain a medical marijuana merchant account. Even if medical marijuana is legalized, it will still be difficult to obtain help from financial institutions. Medical marijuana merchant accounts provide options for those battling with this issue and the high risk aspect of the industry. The well-known attorney, John Morgan, is currently campaigning for young people’s votes in the effort to legalize medical marijuana in the state of Florida. So far, the Bay area is a main location of interest in pushing the Amendment 2 – medical marijuana. In the beginning of October, Morgan rolled into the University of South Florida in a tour bus wallpapered with the phrase “Vote Yes on Two”. The younger generation is believed to be the deciding factor in whether or not this legislation is passed on Nov. 4. So far, polls reveal that things are extremely close on the medical marijuana issue; thus, Morgan has been working hard to spread the word to students in the area. As Nov. 4 approaches, his belief is that exposing the issue to certain demographic groups can make all the difference. Many who have experienced the benefits of medical marijuana or have witnessed the benefits in family members’ illnesses are stepping forward to support the legalization of the substance. However, one concern that has arisen is the unfortunate and unintended consequence of the marijuana falling in the hands of children. As the talks continue in favor and against, the issue of the medical marijuana falling in the wrong hands has moved to local airwaves. People are very concerned that there are loopholes in the law that drug dealers will take advantage of. An additional concern is that children could obtain prescriptions without parental consent. Fortunately for the cannabis business owners of Florida, the potential legalization of medical marijuana will brighten their future; especially since obtaining financial assistance from the banking system is still an issue. For now, the main alternative to their high risk situation is the use of medical marijuana payment processing. For medical marijuana payment processing contact us today!